Story: King and Queen White have gone on holiday, leaving their son Fritz in charge. King Black sees an opportunity for some mischief and challenges Fritz to a duel. Gameplay: Fritz & Chesster starts off with a handful of minigames to teach the movement patterns of the various pieces. 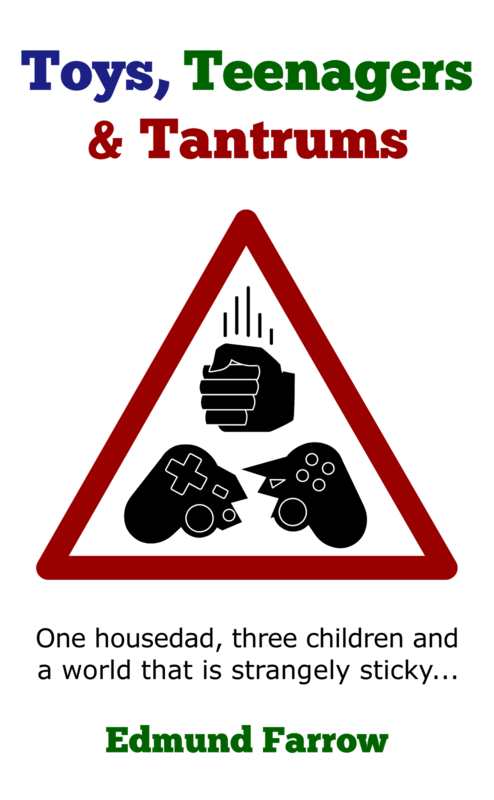 The highlights are very basic versions of Pac-Man and Breakout. These are followed by around fifteen tutorials on the rules of Chess, covering everything from castling to promotion. In each case, a short explanation is followed by a quiz where players must move pieces to show they've understood. Finally, players must take on King Black in a proper Chess match. It's possible to go back and play any of the minigames and tutorials again, and also to play one-off games of variable difficulty against the computer. Two-player games can be played using two DS consoles and a single cartridge. Save System: Automatic save after each challenge. Comments: Long ago, I was in the Chess club at school. I wasn't much good at it, though, and quickly progressed to games involving dice and dragons. I'm just not great at planning more than a turn ahead - in the middle of a Chess game I tend to move pieces without much purpose, simply heading in any direction which looks vaguely promising. As a result, I hadn't played Chess in a couple of decades before trying Fritz & Chesster. The game helped me brush up on the rules and remember some of the tactics for securing a checkmate. What it didn't do was improve my strategy. When I was ten, I had a book called something like Chess for Beginners (Part 1). Fritz & Chesster perhaps only covers half of what was in that book - there's nothing on protecting pieces, for instance, or pawn formations. How to set up the board is considered an 'intermediate' challenge. When it came to the duel with King Black, I knew the rules to Chess but I didn't have much of a clue how to go about winning a game. I got a little stuck. Sprog1, who's eight, enjoyed the tutorials but found the minigames dull and the story too childish. As with me, he reached the duel and was slightly lost as to how to proceed in a proper game. Cunningly, he used the hint option every turn and defeated King Black on his first shot. When we played each other, however, it was clear that the game had taught him to play Chess, even if he was still somewhat confused on when pawns can move two spaces and what constitutes a stalemate. He gave me a decent run for my money. Playing two-player on a couple of DSs has advantages over using a real board. Toddlers and pets are less likely to cause a catastrophe and it's possible to play a game with one child while still wandering the house dealing with others. That said, options to suggest and take back moves would have been useful additions with a beginner involved. Fritz & Chesster achieves what it sets out to do, teaching the rules of Chess in a thorough and easily digestible fashion. Ultimately, the appeal of the game is somewhat limited, though. Anyone who's already played a few games of Chess won't learn much from it. Most children under seven will struggle to read the text while many children older than that will be put off by the kiddie presentation. 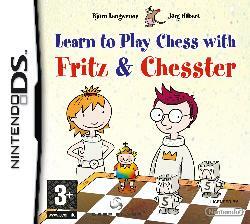 If you just want to play some Chess on your DS, then 42 All-Time Classics is the way to go. Conclusion: For absolute beginners who don't mind being taught by a cute water rat. Graphics: Delightful, hand-drawn characters and backdrops in the story mode. Totally basic presentation in actual games. Length: The story mode is very short. Playing Chess could last forever.